BASW, University of Kentucky; MSSW, University of Louisville, Kent School of Social Work. As Executive Director, Andrew provides leadership and oversight of all programs and services and is responsible for the consistent achievement of the Center’s mission and financial objectives. Prior to joining the team at Pat’s Place, Andrew served for more than five years as Executive Director of the Children’s Advocacy Center of the Bluegrass in Lexington, KY. During that time, services provision increased by 70% and revenues increased by more than 60%. Previously, Andrew served as Executive Director of Sunflower Kids, Treatment Director for Necco Therapeutic Foster Care, and as an adjunct faculty member of the University of Kentucky College of Social Work. He is a member of the Mecklenburg Child Fatality Prevention and Protection Team and Children’s Alliance, and is the former board president of the Kentucky Association of Children’s Advocacy Centers. Lori joined the Pat’s Place team in November 2015 after spending almost 13 years with LIFESPAN in Charlotte, North Carolina. Lori brings over 16 years of experience that includes fundraising, building community relationships and advocacy efforts. BSW, Western Michigan University; MSW, State University of New York/Buffalo. Prior to joining the staff at Pat’s Place, Ann spent 10 years as the Coordinator and Interviewer for the greater Hartford area (Connecticut) MDT/CAC where she was also active in numerous statewide efforts to further the CAC mission. Prior to that Ann held positions serving children & families in various mental and physical health care settings, schools and private practice. Prior to joining Pat’s Place, Heather worked at Council for Children’s Rights for seven years protecting the individual rights of children who had been abused and neglected, students with disabilities and special education needs, and children with persistent and severe mental health needs. She has led efforts in the community with the Charlotte-Metropolitan Human Trafficking Task Force, Child Fatality Intensive Death review team, and Juvenile Court Model Courts initiatives. Prior to working at the Council for Children's Rights, Heather worked for mid-size Charlotte law firm on the commercial real estate and financing team. 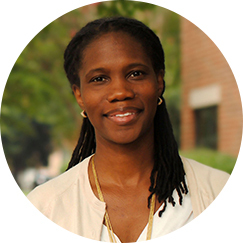 She has been published in social work journals for work pertaining to the HIV/AIDS population and served as an adjunct lecturer for UNC-Charlotte. B.S. Howard University; M.D. from University of Medicine and Dentistry of New Jersey (UMDNJ) – New Jersey Medical School; Pediatric Residency – UMDNJ – Newark, NJ; Pediatric Chief Resident. B.S. Howard University; M.D. from University of Medicine and Dentistry of New Jersey (UMDNJ) – New Jersey Medical School; Pediatric Residency – UMDNJ – Newark, NJ; Pediatric Chief Resident. Previously, Dr. Morgan worked at one of the four NJ Regional Child Abuse Diagnostic and Treatment Centers for nine years, with the last three as Medical Director. She has served as Chair of the Essex County Child Fatality Team (Newark, NJ) and as Board Member and Chapter President of the NJ Chapter of the American Professional Society on the Abuse of Children (APSAC). Dr. Morgan is also the medical director of the Child Maltreatment Section at Levine Children's Hospital. She presently serves on the Board of the NC chapter of APSAC.